During the spring flood of 2009 the earthen emergency spillway on the dam was inundated by flood waters and emergency measures were necessary to stabilize the spillway after severe erosion threatened the integrity of the dam. Prior to repairing the damage, the Barnes County Water Resource District requested that Moore Engineering study the Clausen Springs Dam and its contributing watershed in order to determine if the existing dam met current North Dakota dam design standards and whether or not any proposed repair activities would be sufficient to bring the dam up to current design standards. The existing Clausen Springs Dam design did not meet the Class V dam design standards of the North Dakota Dam Design Handbook and the District directed Moore Engineering to complete a feasibility study to identify various options for repairing, modifying, or improving the Clausen Springs Dam and bring into compliance with current dam safety standards. 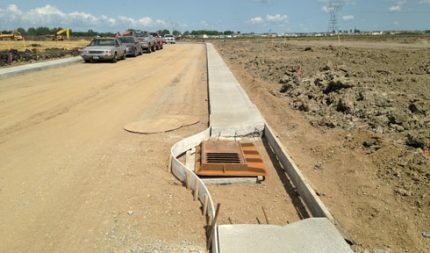 Moore Engineering developed a plan to repair the eroded emergency spillway and make this dam compliant with current safety standards. 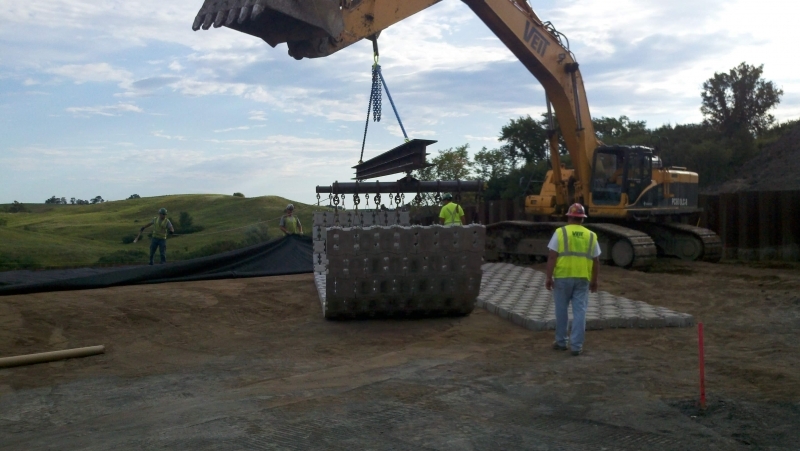 We worked with the North Dakota’s State Water Commission and Game and Fish Department, plus local agencies, to come up with a cost effective solution and secure funding for the project. Without these efforts, the dam likely would have been breached and the recreational lake behind it drained. Completed in October of 2011, the improved spillway has not experienced any flows at this point, but it is now capable of handling any potential flows that may occur. The spillway is now fully armored and the dam fully operational, the reservoir will remain in place and will continue to provide recreational opportunities and flood protection benefits for many years to come.